If you have hopped here from Prima Marketing's blog, Welcome! I am Jennifer Snyder. Let's celebrate some world peace. I can't think of anything better than bringing in Sea Sallie to help us with this mission. 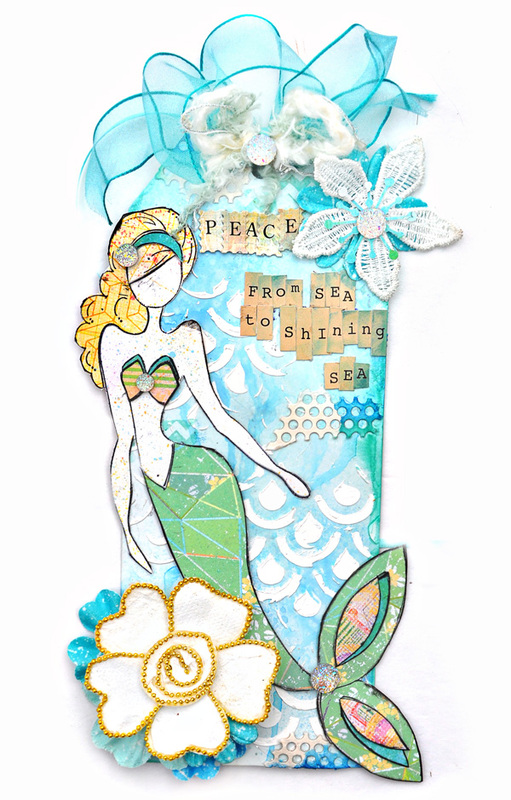 Sea Sallie is Julie Nutting's new adorable mermaid doll stamp. She brings smiles and joy where ever she lands. Now isn't that a great start to making peace? 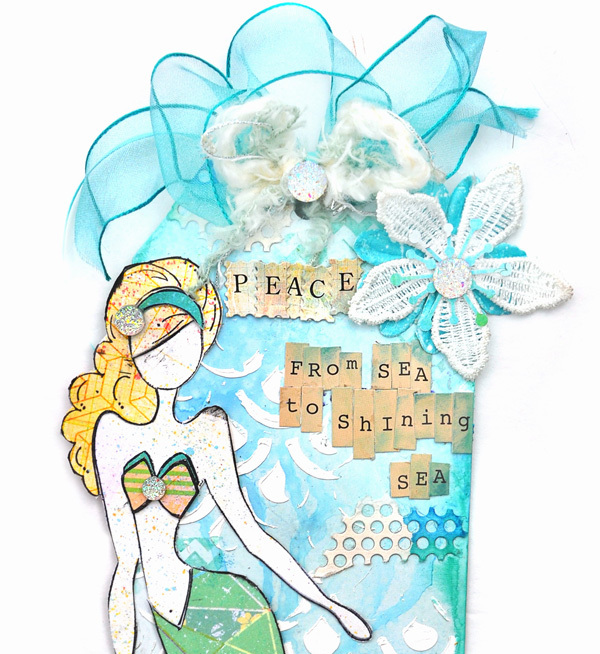 Sweet 'lil Sea Sallie's body and clothing were created using Prima's Free Spirit Collection. The tag is from Julie Nutting's new tag pads. 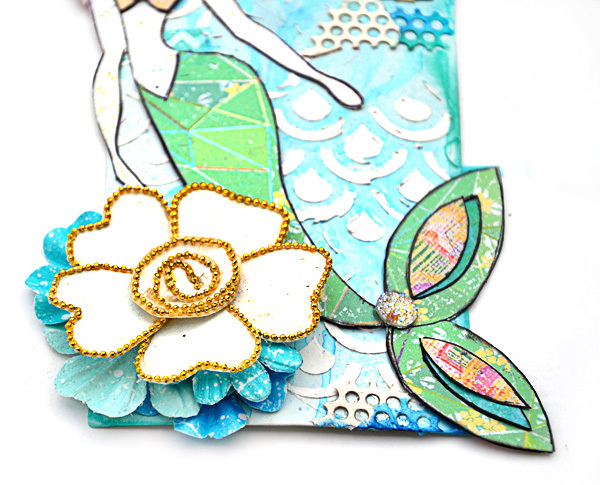 I used Prima's 12x12 stencil and Color Bloom spray mist to create the background on the tag. Product codes are all listed below to assist in your on-line shopping. And of course Sallie is blinged- out in Prima crystals . To continue on with the peaceful blog hop, you'll be visiting with Olga Vasilieva, from Russia. You can be the start to a peaceful day! I love the theme of this hop! I love all that you are doing with the Julie netting stamps! Beautiful work! what an amazing tag - thanks so much for sharing!